Personalised Pet Collar - 3 sizes. Design and create a cute pet collar with pet names, nicknames, photos to colourful designs! 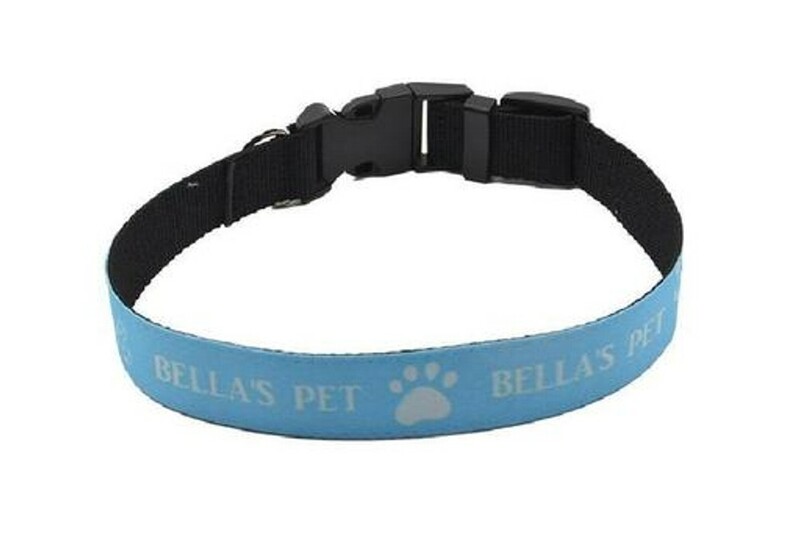 This great pet collar has a metal loop for clipping pet lead to and a plastic heavy duty buckle to fasten collar together, durable with stitched on printable panel. The printable area is white ready to add your design to. They are available in 3 sizes - Small 60 x 2.5cm, Medium 70 x 2.5cm and Large 75 x 2.5cm.